Prinect Prepress Manager is the automated, modular, and fully transparent PDF prepress workflow from Heidelberg. It is freely configurable and enables you to automate and monitor all your prepress production steps, from data input via PDF preflight and impositioning to proofs, approval cycles and plate imaging. End-to-end use of the Job Definition Format (JDF) in the Prepress Manager workflow allows seamless communication in the print shop, also with the pressroom and postpress department, and integration of print buyers into the reliable production process. During the automated preflight, Prinect Prepress Manager can use PitStop profiles and make auto-corrections with PitStop action lists when the Preflighter Professional Engine, based on Enfocus technology, has been configured into the system. 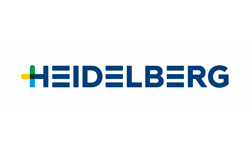 MetaDimension, the RIP and workflow solution from Heidelberg, significantly enhances the productivity of PDF workflows. This can be done either by choosing Prinect Prepress Manager, or by using the preflight and auto-correction capabilities of PitStop Pro, as well as the more automated workflows provided by the hot folder setups in PitStop Server. In addition, PitStop Pro is used to provide interactive editing capabilities to the PDF file itself, creating a complete and fully functional PDF workflow. Both PitStop Server and PitStop Pro are available as an option with MetaDimension.